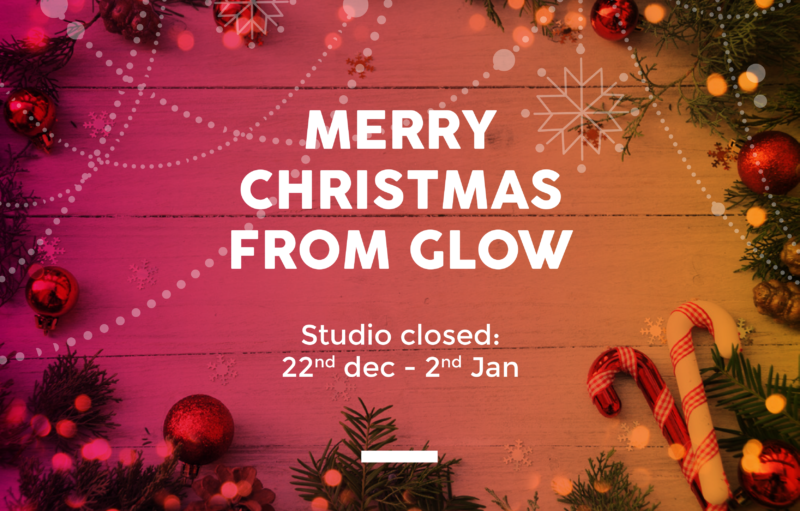 #InTheStudioThisWeek: The Glow team would like to wish everyone a very happy Christmas and a wonderful new year. The office is closed from mid-afternoon today (we’re treating ourselves to an early Christmas start!). We re-open on January 2nd. Thank you all for your efforts, smiles and great creative projects throughout 2017. We look forward to continuing to work with our brilliant existing clients and inviting more to take full advantage of our extensive services in the new year. Here’s to a wonderful 2018!